Pioneers in the industry, we offer stepper motor, miniature dc motor, electric ac motor and induction ac motor from India. For many years, we are into the business of manufacturing and supplying finest quality Stepper Motor that can be very accurately controlled in terms of how far it will rotate and how fast. This stepper motor is manufactured by inculcating modernized technology in sync with prevailing market norms of quality. The offered stepper motor is used for dividing a full rotation to number of equal steps; these products find application in floppy disk drives, flatbed scanners. Range 650 gcm to 300Kgcm. Owing to our ultra modern infrastructure unit and vast knowledge, we are occupied in providing Miniature DC Motor. 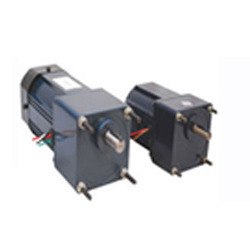 The offered DC motor is mechanically commutated electric motor that is powered from direct current. 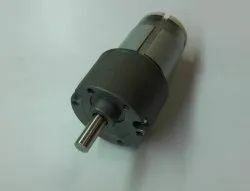 This DC motor is has better speed control and higher torque than AC motors. We provide this DC motor on numerous specifications as per the needs of customers. With sincerity and hard work of our professionals, we have carved a niche for ourselves in this domain by offering Electric AC Motor. This AC motor is designed using pristine grade components and advanced technology at our premises. Our offered AC motor converts electrical energy to mechanical and are applicable in effluent treatment plants. Moreover, offered AC motor is mechanical electric power control which functions with the aid of direct current. 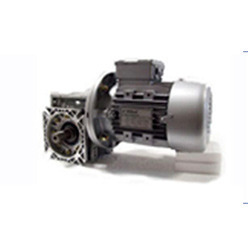 After a thorough search of the modern market, we have placed ourselves as the leading manufacturer and supplier of Induction AC Motor. Offered AC motor is made available in several specifications in order to meet the variegated demand of customers. The AC motor offered by us is a most effective way to change electrical energy to mechanical energy in the form of rotatory movement. We are giving this AC motor at competitive rates in a stipulated time frame.